December 3 & 4, 1954. YOU’VE got to hand it to the enthusiastic members of the Young Wick’s Amateur Dramatic Company. They not only stage shows at frequent intervals, but are always ready to tackle anything no matter how difficult. They are now in rehearsal for what I always consider the most testing vehicle for amateurs, a farce, which demands a swift butterfly-like lightness of touch that is not easy to acquire. 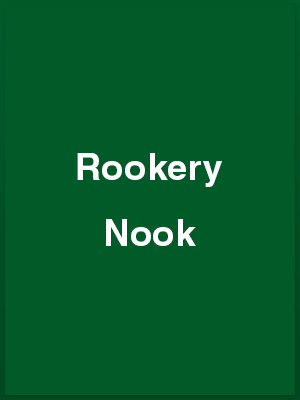 They have chosen the most famous of all the Aldwych farces, Rookery Nook. The cast includes two brothers who are making happy returns to the company, Ralph and Michel Dawes. There is a new leading lady, Diana Topping. It will be her first part with the company. With Godfrey Evans producing his premiere effort in that capacity, the show ill be staged early next month. Although rehearsing takes a great deal of time, the Young Wicks have managed to spare a little more to help make Christmas happy for the youngsters in the Church of England Children’s Home, Brighton. They are making a collection of toys, and a special stall will be opened to receive gifts towards the collection in the foyer of the Barn Theatre during the two-night run of the play. “We do hope everyone will bring a toy with them”, Miss Carpenter, secretary to the club, told me. I, too, hope they will. THE Young Wick Players romped through Ben Traver’s farce, Rookery Nook, in the Barn Theatre, Southwick, on Friday night, playing to an almost full house. There was a second performance on Saturday. No doubt they found the production of a farce more difficult than they first imagined, but in spite of the relatively short acting experience of most of the cast, they handled the dialogue well, and producer Godfrey Evans showed imagination in several ways in his treatment of the characters. These small touches meant the difference between success and failure. Ross Workman as the timid Harold Twine raised many a laugh with his nervous gestures and inane remarks, and made an admirable foil for Clive and Gerald Popkiss [Michael Dawes and Ralph Dawes], while Rhoda [Diane Topping], as the girl in distress who finally wins a much-needed frock from the back of the fatuous Poppy Dickey [Maureen Futcher], held them at bay. Putz [Desmond Tyler] and Brian Cooper’s Admiral Juddy were enthusiastically played, and other parts were taken by Eileen Turley [Gertrude], Betty Perry [Mrs Leverett], Elaine Smithers [Clara], and Barbara Mott [Mrs Possett].